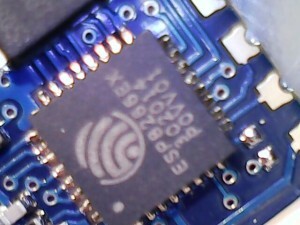 ESP8266 – The Little Beast! The esp8266 chip is made by Espressif Systems. The chip have both certifications FCC and CE. You can sell your products to the mass market. Internet of things survey from an year ago at Wi-Fi.org shows very big numbers for smart enabled devices. Why WiFi for the Internet of Things A.K.A Smart Devices? Two words – security and availability. While WiFi is know to be at the edge of the secure protocols it offers much more protection than regular 315/433Mhz devices. 2.4GHz keyboards were hacked recently too. Sensor Data – It may be sensitive or not but can only be used for analysis. Can cause trouble but only indirectly. Actuators Control – If hijacked can make a real mess – what if you use a wireless door lock? WiFi and the esp8266 chip provide enough security with the TKIP and AES engines built in /is there ever completely secure system? / to control your appliances. Control devices – turn on/off your oven/dishwasher/washing machine/coffee maker/whatever at predefined schedule or at your will. It’s an open ended post which will get updated for sure. But let’s put that little beast to work!